Bobby Hull played left wing as a former professional hockey player whose 23 year career included teams in the National Hockey League (NHL) as well as the World Hockey Association (WHA). Hull played for the Chicago Black Hawks in the NHL. In 1972 he joined the Winnipeg Jets when the team was part of the WHA. Hull went into retirement for a period after the 1979 season whereupon the WHA ceased to exist. Hull came out of retirement to rejoin the Winnipeg Jets when it became part of the NHL. Hull then played for the Hartford Whalers for nine regular games and three playoffs but retired again for personal reasons. In 1981 Hull came out of retirement for a brief period again to play for the New York Rangers. In 1983 Bobby Hull was inducted into the Hockey Hall of Fame. In 1997 was inducted into the Ontario Sports Hall of Fame. Bobby Hull’s number 9 was retired by both the Chicago Blackhawks as well as the Winnipeg Jets. Sports Speakers 360 is a booking agent for pro athletes. 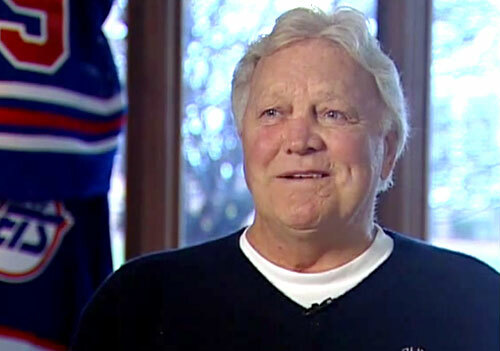 If you would like to book Bobby Hull for a speaking engagement, appearance or endorsement, contact a Bobby Hull booking agent for fees at 1.855.303.5450.